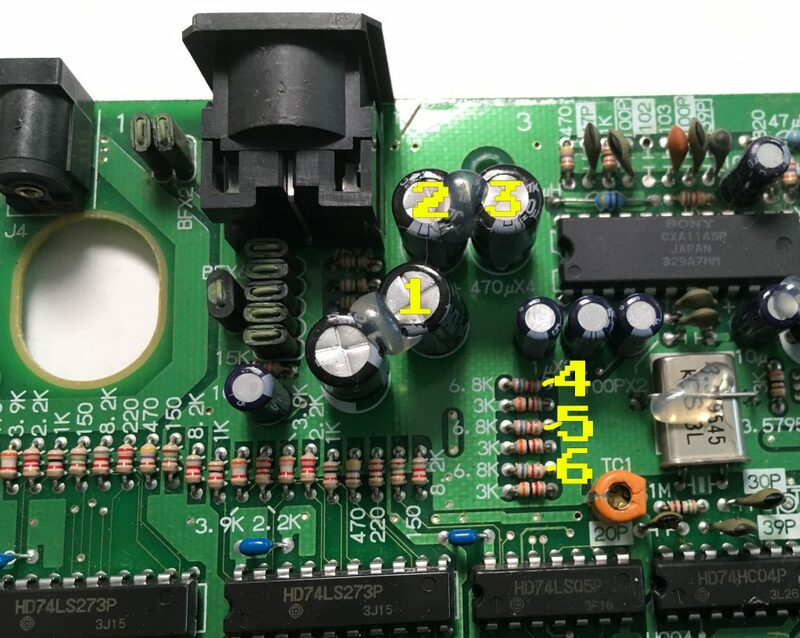 This page will show you a “basic” bypass for the Neo Geo AES console that eliminates the Sony CXA amp and sends video (at the proper voltage) directly from the NG’s digital-to-analog-converter, to the multi-out. 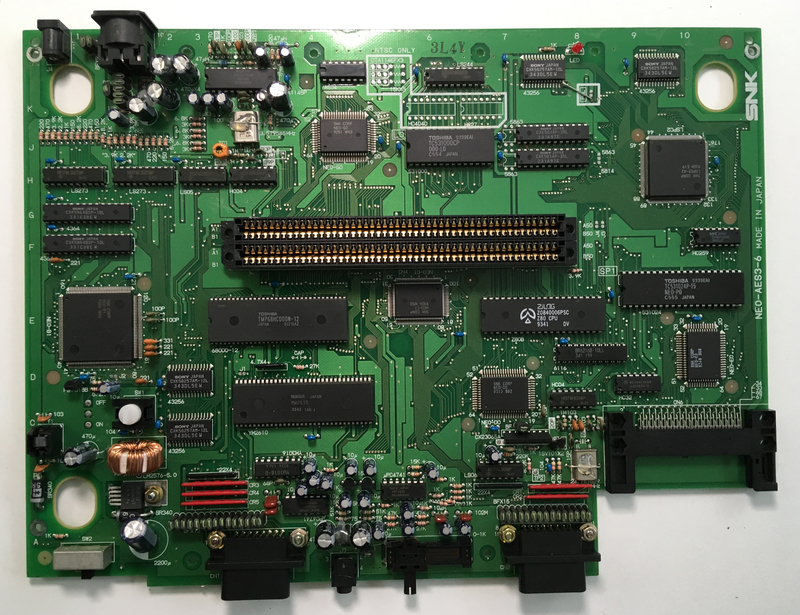 This was tested on the worst revision Neo-Geo, the 3-6, however it should work on other revisions. A shoutout to mmmonkey, as this guide stemmed from Pete’s original work. A second shoutout to Alex, as his original RGB bypass will pave the way for future, even better mods. WARNING: This mod will disable composite video! 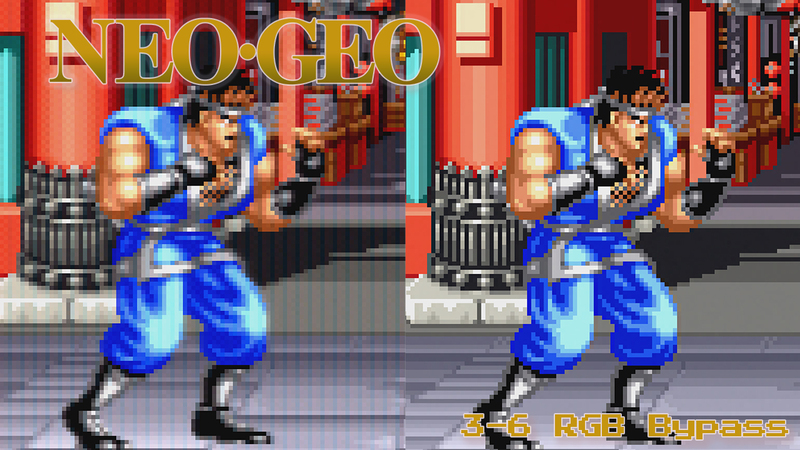 It’s been long discussed that some Neo Geo’s output better RGB video than others. While that’s true, all AES’ can have a fairly simple RGB bypass performed that gets the best out of the built-in DAC. 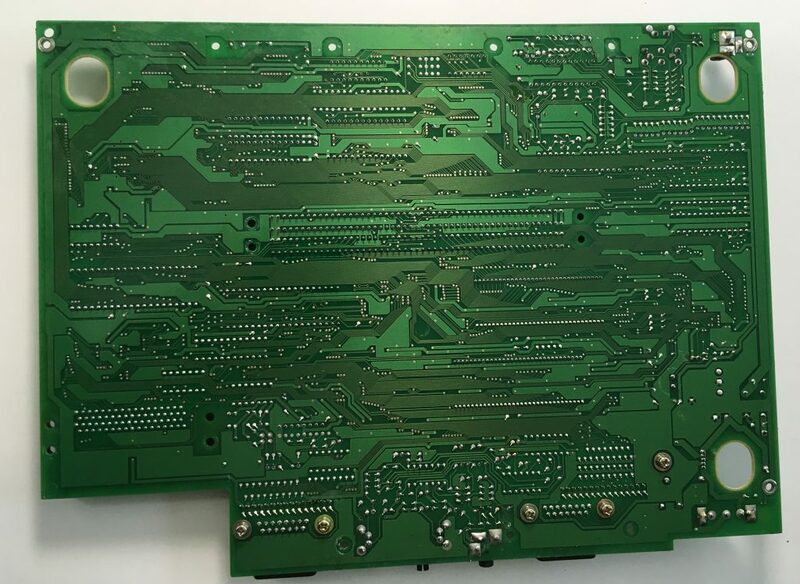 That means you can make every revision AES look identical, regardless of serial number, including and especially the notorious 3-6 revision motherboard. Access full-sized pictures in this guide, simply by clicking each one! 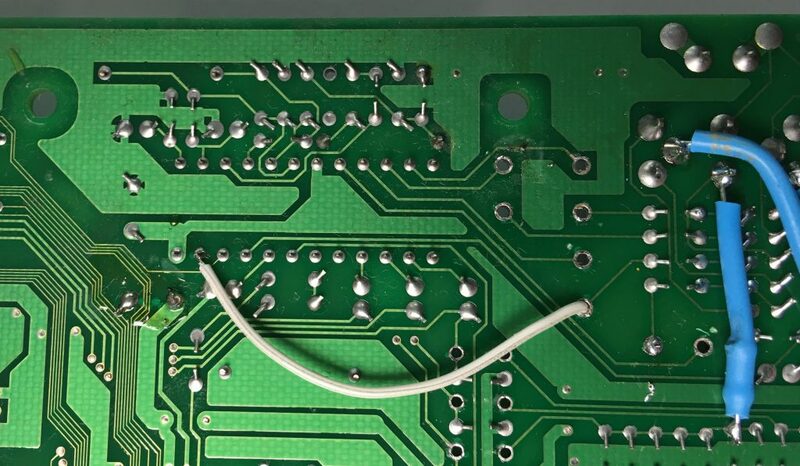 Start by removing the two screws on the bottom of the AES. Please note that these are different sizes, so make sure to mark where each goes! 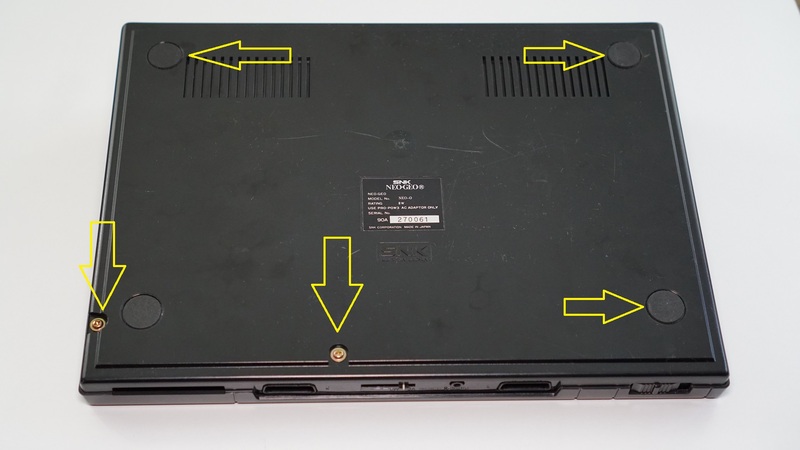 Also, carefully try to lift the three footpads marked here to expose the other screws; There’s no screw under the unmarked 4th pad. 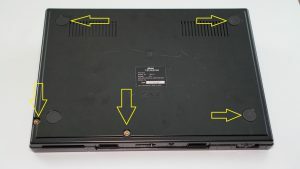 After removing the top plastic cover, remove the following screws. Once done, remove the reset button and power switch, then carefully lift the motherboard out of the bottom case. I like to use the resistor itself to make the connection, with no wire: I trim one end of the resistor and solder it to the bottom pins. 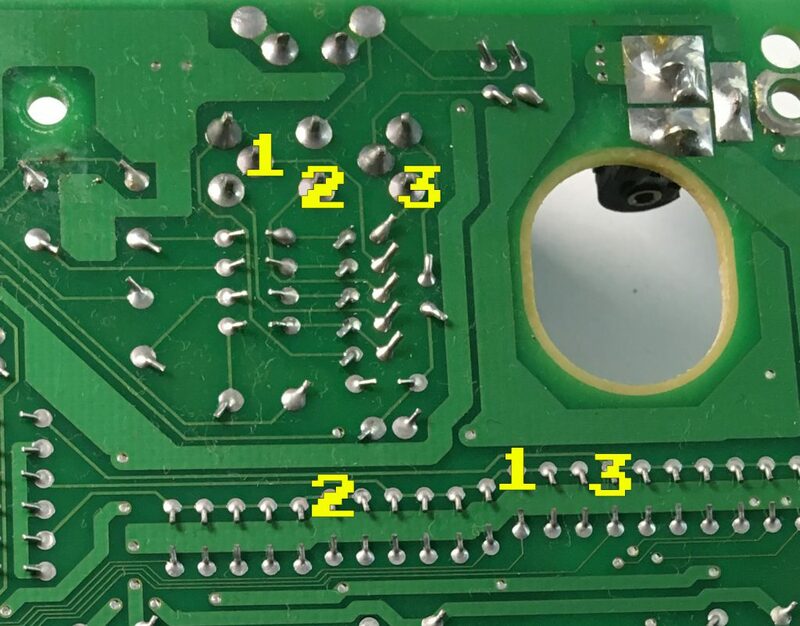 Then I measure and position the resistor with the connection points on the multi-out (top pins) and trim to size. I start with #1 in the above picture, as that’s the only one that needs a bend in the routing; The rest are strait shots, so I do the hardest first. Next I add the heatshrink tubing. Then I solder the top connection in place. Lastly, I add some heat to shrink the tubing down for a nice connection. Important note: This mod may not be needed at all on other revision AES consoles. Technically, this isn’t “needed” on the 3-6’s either, but I strongly recommend doing it. You’ll get a cleaner signal at a better voltage (more on that below) and since you lose composite video anyway, you’d might as well get the best you can for just a few more easy steps! 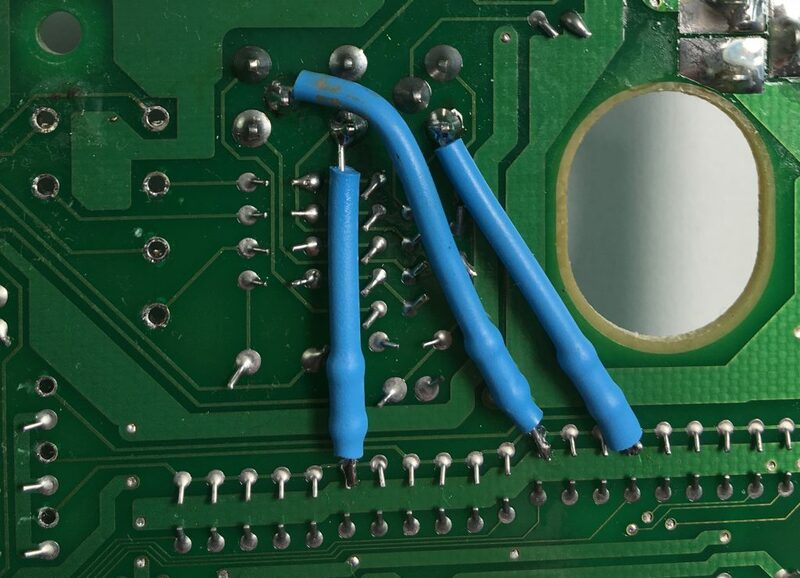 Lastly, solder the wire that you ran through the hole, to the positive input side of the capacitor you just rotated. Then snip any excess. 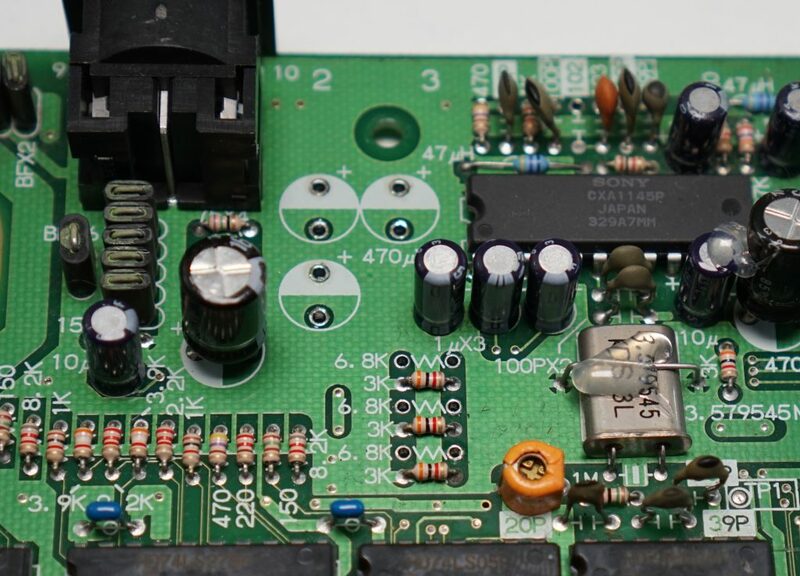 Let’s take a look at the results of this mod from an electrical standpoint. 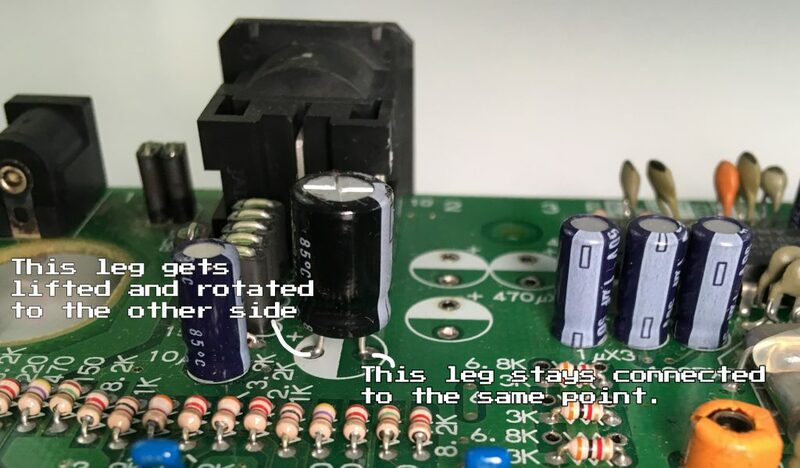 Keep in mind that every console will always have a certain percentage difference in tolerance levels; Unless you replace every single component on the board with 0.1% versions, expect at least a 5% difference in readings. For this particular console, we see a reading of 760mV on the color lines of the unmodified console (RGB were all the same value, so I’ll just show red). Anything over 700mV has the potential to wash out the colors, so this is bad from the start. 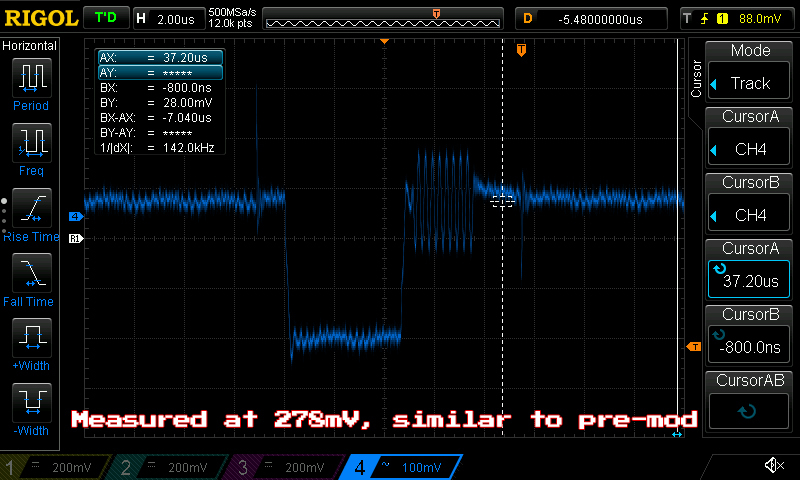 After the bypass, we see the level drop to a much better 708mV and I’ve seen 3-6 AES’ as low as 670mV after performing this mod – All are better than the much too high values of the original output. 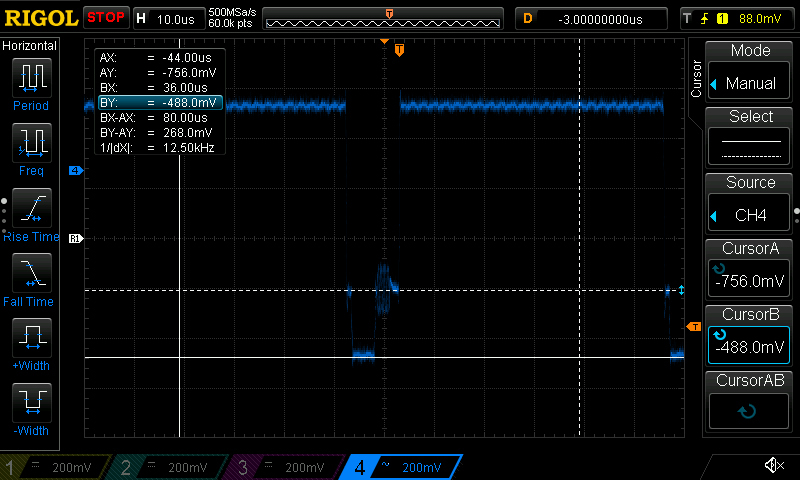 Also, notice the signal itself: You can see the much “cleaner” signal on the output side, represented by the straighter line! 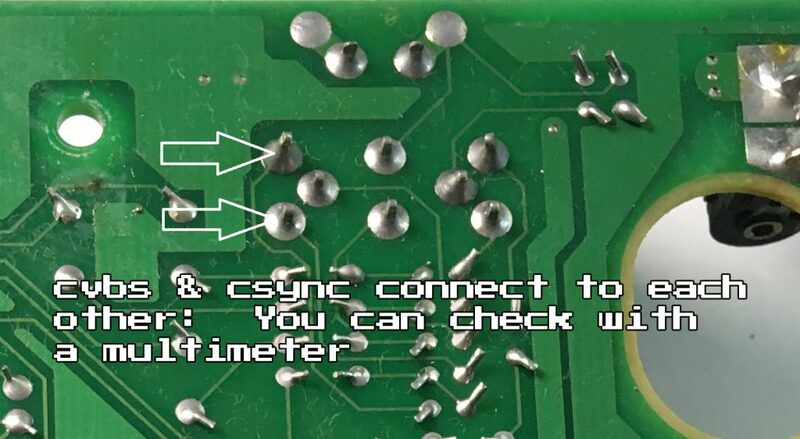 After the initial RGB mod (but before the csync mod), you’ll lose most of the composite video signal, but there’s still some excess noise corrupting the remaining sync waveform. Also, while this voltage is perfectly fine, some hobbyist-built retro-gaming devices work more reliably with a slightly higher sync voltage. 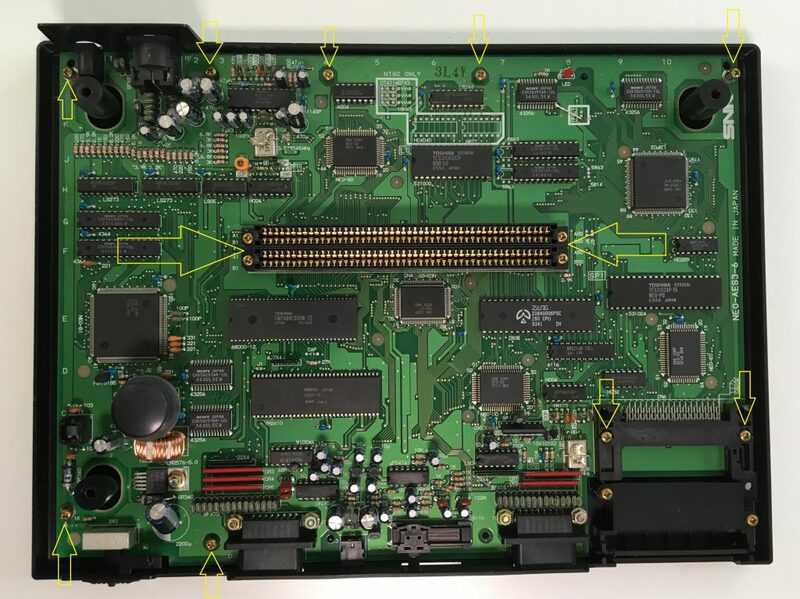 Surprisingly, this isn’t the best possible mod that can be done to a Neo Geo! 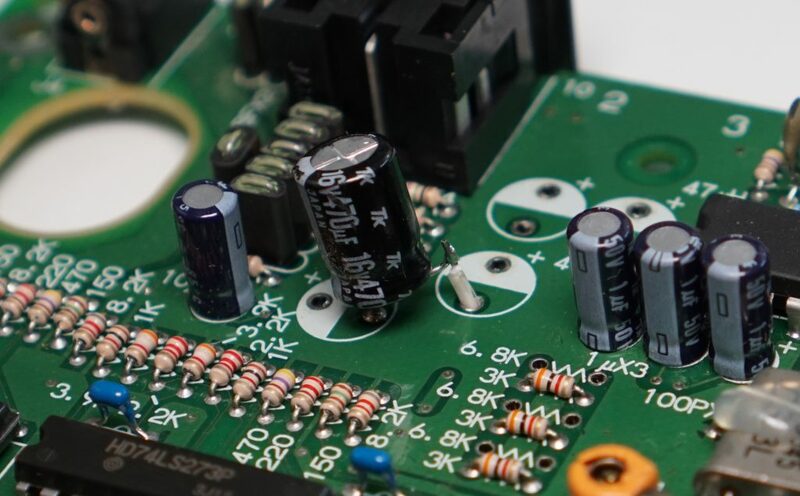 There are new mods coming in 2019 that can push the analog output even further, but are quite complicated to install. For now though, I highly recommend this one, as it’s easy and gets excellent results! That’s it for now! 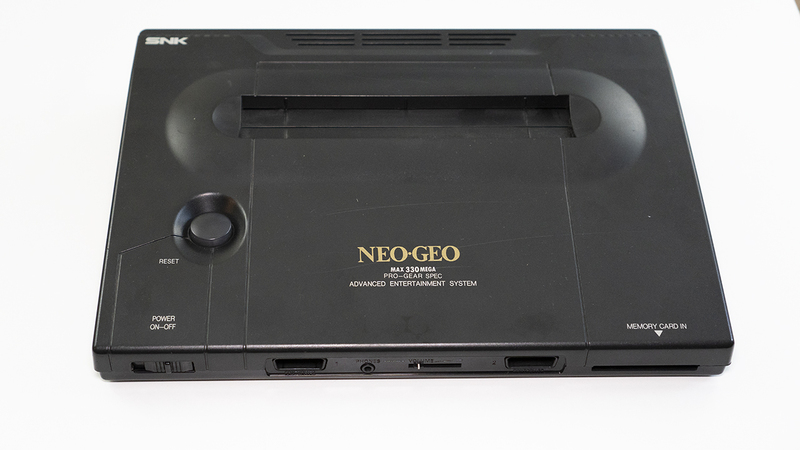 Feel free to go back to the main Neo Geo section, or head to the main page to be kept in the loop with everything going on in the retro-gaming scene! Neo Geo AES Console System only Early model TESTED From Japan !! Neo Geo AES Gold System US Console - SNK 100% ORIGINAL !RARE!